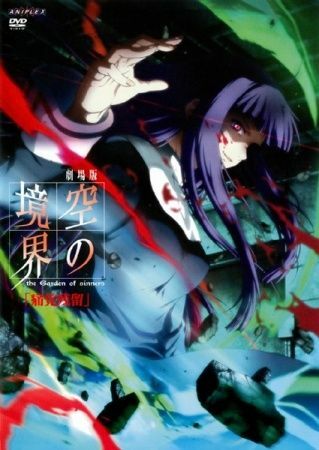 On a solemn night in July 1998, teenager Fujino Asagami is mercilessly raped by a street gang in a dilapidated bar. No matter what physical or sexual abuse they deal, however, the girl regards her captors with the same apathetic expression. The next day, mangled bodies are discovered in that same building, so torn apart that investigators find it infeasible to even consider the culprit human. Elsewhere, a client request reaches Touko Aozaki's detective agency, tasking Shiki Ryougi with either capturing or killing the perpetrator of last night's incident. But soon, word spreads that a single survivor escaped the slaughter, and now the murderer is plowing down everything in their path to locate and exterminate him. A brutal race against time begins, pitting Shiki against a dangerous foe imperceptible even to her legendary eyes.